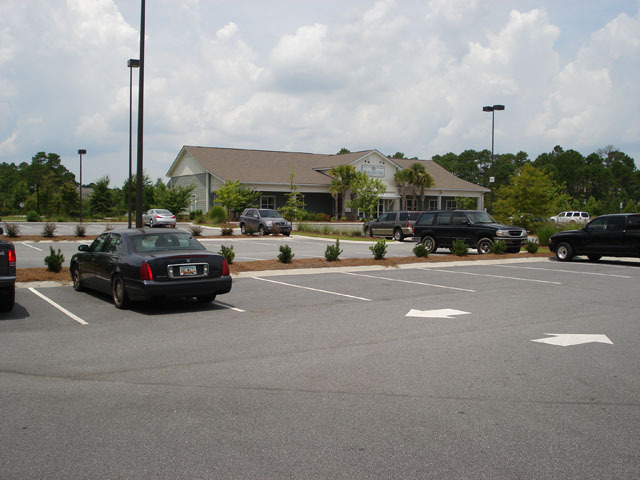 This project included a 10.40 acre parcel at the intersection of Burnt Church Road and Bluffton Parkway in the Myrtle Park Development in Bluffton. This commercial develop- ment is anchored by a 38,210 SF Piggly Wiggly grocery store with nine (1,020 SF) attached retail shops, as well as two detached 5,210 SF retail buildings. 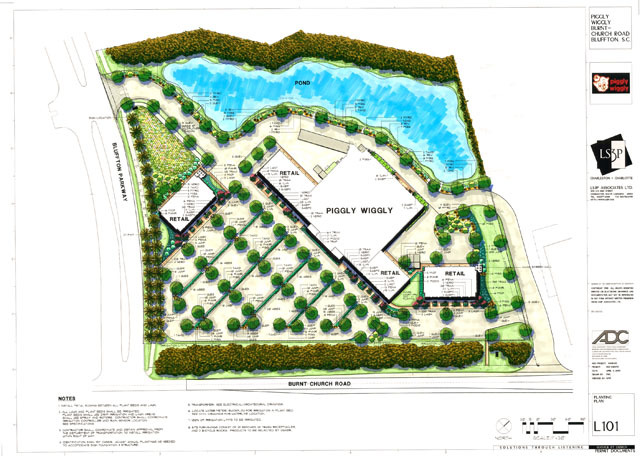 Site design and construction included multiple building layout, outparcel layout, vehicular circulation and parking, pedes- trian circulation, loading areas, stormwater retention, and landscaping. Structural design and construction was also provided for the multiple buildings.